One of my recent paintings in my In Our Veins series has found a new home to a new collector. 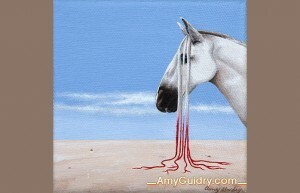 Integrate is an acrylic on canvas, 4″ x 4.” There are a couple of paintings in this size left on my website which can be found here: http://amyguidry.com/change.html and here: http://amyguidry.com/parting.html. View Integrate online as well: http://amyguidry.com/integrate.html. When it comes to hanging art on my wall, I personally like to just go with what looks right to me. Then again, I am an artist so that may be a little easier to do than for others. So with that in mind, I’ve found a few short, visual, and helpful articles online to give you some help on how to hang your art, where to hang it, how to arrange it with other art, and how to light it. The visuals alone are great ideas. I’ve recently finished my latest painting in the In Our Veins series. You may recall seeing my progress photos posted here along the way. The title is Dichotomy and it is an acrylic on canvas, 20″ wide by 16″ high. 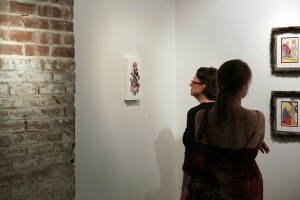 View the painting online (larger and with a zoom feature as well) here: http://amyguidry.com/dichotomy.html. I recently did an interview for Vegbelly which is now posted online: http://www.vegbelly.com/amy-guidrys-intricate-paintings-will-make-you-pause-and-think/#.U5-vCXbQN8E. I recently received some good news! My work has been selected for inclusion in the B14- Wiregrass Museum of Art’s 2014 Biennial. The exhibition will open in July, with an opening reception on July 17th at 5:30 pm. The exhibition will remain up through September at the Wiregrass Museum of Art in Dothan, Alabama. More details soon. 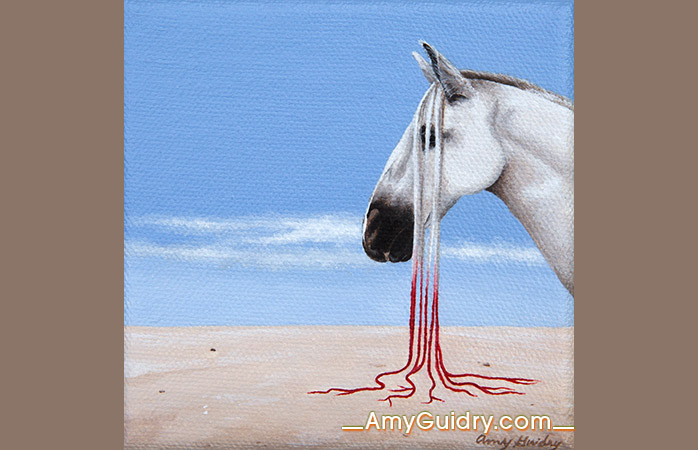 I recently did an interview for 365 Artists/ 365 Days which is now posted online: http://365artists365days.com/2014/05/27/amy-guidry-lafayette-louisiana/.